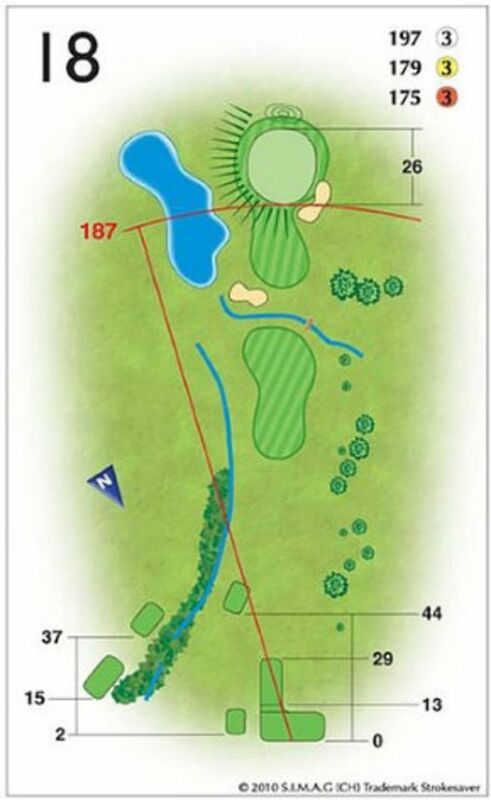 The longest of the par 3s, the 18th is a difficult hole for any standard. Often requiring a long club to find the green, it is difficult to keep it on the short stuff. The hole is protected by a green-side bunker to the right, pond to the left and a stream for anyone coming up short.